With London being a business and financial hub it often comes under the microscope for environmental issues. The EC area of the City of London is crammed with businesses and offices complexes. Many international organisations have offices and headquarters here, so it is no surprise that it is often used as a benchmark. One of the downsides of being such a busy city is that London is often guilty of being too busy to recycle or “think green”. Most of the occupants in the EC1, EC2, EC3 and EC4 areas are businesses that have tight targets and goals to achieve without the added pressure of recycling targets. Nonetheless we all have a responsibility to look after and protect our World, and it looks like us Londoners are not doing so when it comes to food waste. A report by the London Assembly Environment Committee has found that of London’s 33 boroughs, just 23 offer separate food waste collections, while 16 don’t offer collections for blocks of flats. The cuts in local council funding from central government has had a knock on effect and local boroughs cannot afford to have separate food waste collections. Campaigners have been arguing that separate collections need not be more expensive if they’re done effectively. On the bright side, there are many schemes now in place to help reduce food waste generated from supermarkets. Organisations such as FoodCycle collect food from supermarkets that have been deemed unfit for sale but perfectly safe for consumption and cook meals for those facing food poverty. 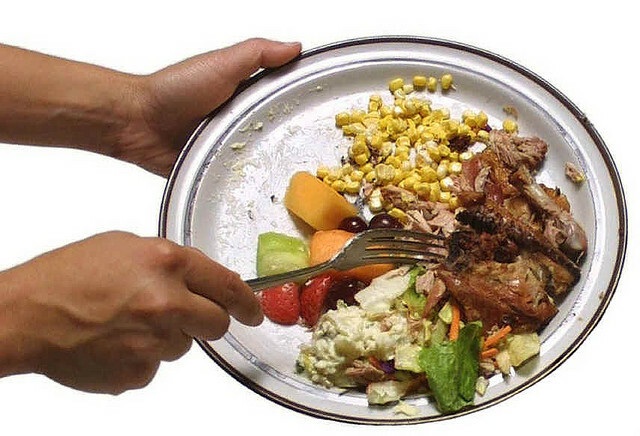 Are you doing your bit to reduce food waste?